First 50 copies with metal pin. Choose if you want it or not. Brisbane Australia's Lustration comes back with their 2nd full length "Jesus Bethlemitus Maledictus", three years after their debut Psymbolik, and a renewed line up, gathered around Minesweeper on vocals and Necrobogan on guitars. 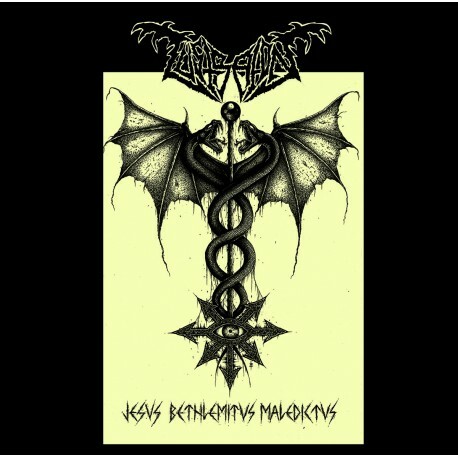 Jesus Bethlemitus Maledictus is 7 tracks of Black/Death Metal audio terror. Crawling invocations dealing with occultism and atlantean subjetcs, on low poundings drums, gathering for chaotic and primitive Metal.